Runaway teenager, Lilly Lessard has some secrets. For a start, that’s not her real name and she wants to keep quiet about her real age too. Bumping into ex-hitman Bobby at a small town film festival isn’t the coincidence it seems either. She’s tracked him here. He owes her money and she’s desperate enough to come looking for it. And she’s not the only one who has followed him here. Detective Davis is after him too. She’s been after him in Miami for years, but never quite managed to get a hold on him. Maybe this weekend she’ll get lucky. But the closer Lilly gets to Bobby and his money, the closer Davis gets to them both. One by one, their secrets are coming out. And Lilly’s about to find out, the worst secrets are the ones you keep from yourself. Lilly watched the end of the girl’s cigarette burn as she took a hit. Cassandra had always liked the fact that Bobby was a dangerous man. But she hadn’t seen him that night when he got back in the room after killing The Judge. His face had blanched and his false teeth had hung half out of his mouth. Killing The Judge hadn’t been easy for Bobby, not like when he drove past that phone box down in Florida and shot three times into some guy’s back. Bobby had lost his appetite for murder. He wouldn’t try to kill her, not unless it was absolutely necessary. As a book blogger, I occasionally agree to read and review books 'blind' - in other words, without learning a little more about the book beforehand. This was one of those cases. And I soon discovered that No More Birthdays was certainly not the kind of book I would ordinarily read. I like books to be a little uplifting, with some humour perhaps. This contained nothing like that, however. It is by and large a very dark and quite a disturbing read. To be honest I felt rather down after I finished it. But, having said all this, the quality of writing is excellent. Lissa Pelzer certainly has talent, and she has it in spades. If she ever writes anything that will leave me feeling happier and amused, then I would most definitely be interested in reading it. This series however, was just not my cup of tea. If you like dark and disturbing stories, then I would definitely recommend it. 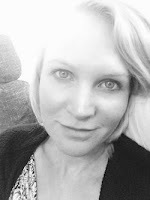 Lissa Pelzer is a British crime writer living in Germany. 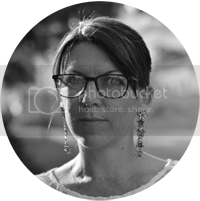 Her previous published work includes romance fiction under a pseudonym. 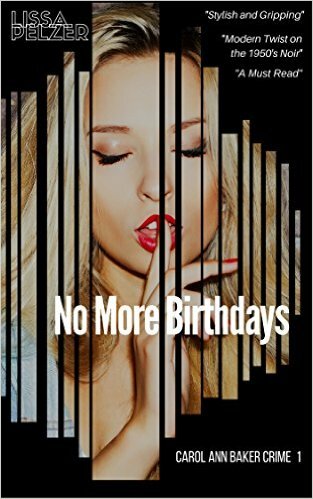 No More Birthdays is her first work under her own name.